The retirement of Windows XP (finally), pressure on operating costs and multiple device/platform choices are factors causing IT departments to focus now on building a truly flexible desktop environment. Combining desktop virtualisation and management with application virtualisation, flexible delivery and centralisation, the flexible desktop environment will be an accessible, effective, and responsive environment for business users. How practical Service Management can help with this important transformation. :: The Communications Regulator, Comreg, is undertaking a 'proof of concept' of the flexible desktop approach. 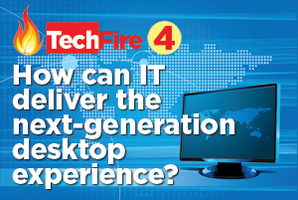 Designed to support strategic decisions on desktop and application delivery, the project’s results were shared for discussion at TechFire. 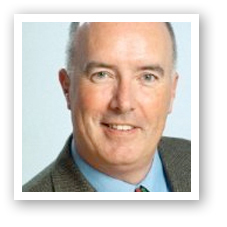 Gerard O’Rourke holds a Masters in Internet Systems and a diploma in Cloud Strategy. :: In contributing user experience to the event, Derek Monahan drew on extensive background in both the theory and practice of centralised IT operations. At Aer Lingus, streamlined IT processes have the goal of maintaining strict control of projects and staff costs; in his previous role as IT Services Director at DHL, he led the transition of IT services in Europe to a centralised facility in the Czech Republic. :: Having designed, led and delivered some of the largest infrastructure projects within Ireland covering a variety of technologies, Kevin Reid specialises in data management solutions based on VMware and Microsoft Infrastructure. He provided a technical overview of the Flexible Desktop concept. 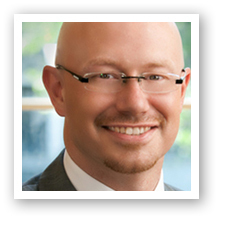 :: Mike Hayes has more than 10 years experience working with desktop and server virtualisations with a strong background in VMware, Citrix and Microsoft technology.